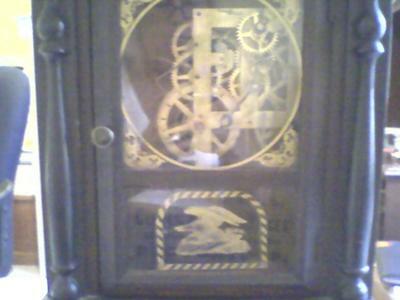 This clock was handed down to me via family. 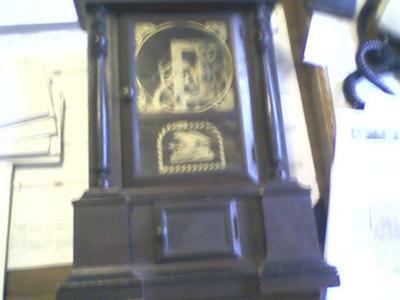 Every time this clock was passed on, it was enscribed on the back of whom it was from, the date, and to whom received it. When my mom passed away, I put her name, the date, to me as all others did since 1856. Before she passed away, she took the clock in to get it running and they fixed it and it ran for a year, but now it doesn't again. I believe it was/is wound too tight. I have the original key...I love the pendulum sound! Can anyone tell me more? Value? I have researched it a little, but NOBODY has one like it and they don't have any idea what the value might be. The photos don't do this justice! 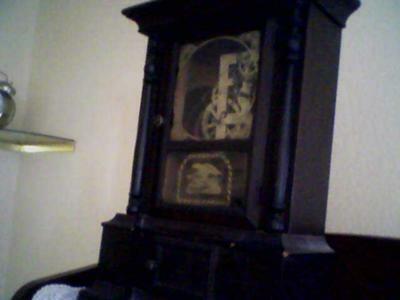 On the inside, the back wall has instructions on how to wind/set the clock on thin paper; I have a newspaper article of a clock very close to the one I have, and it states that collectors are searching for them...But, never found one just like mine.